Club Penguin Cheats by Mimo777 Club Penguin Cheats by Mimo777: New Club Penguin Coin Code! 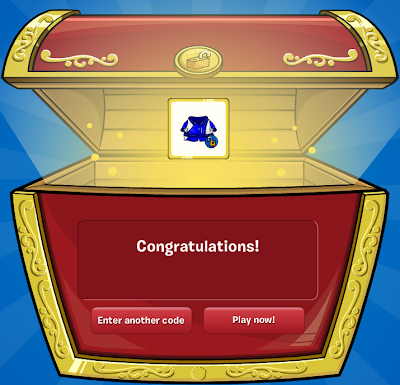 New Club Penguin Coin Code! 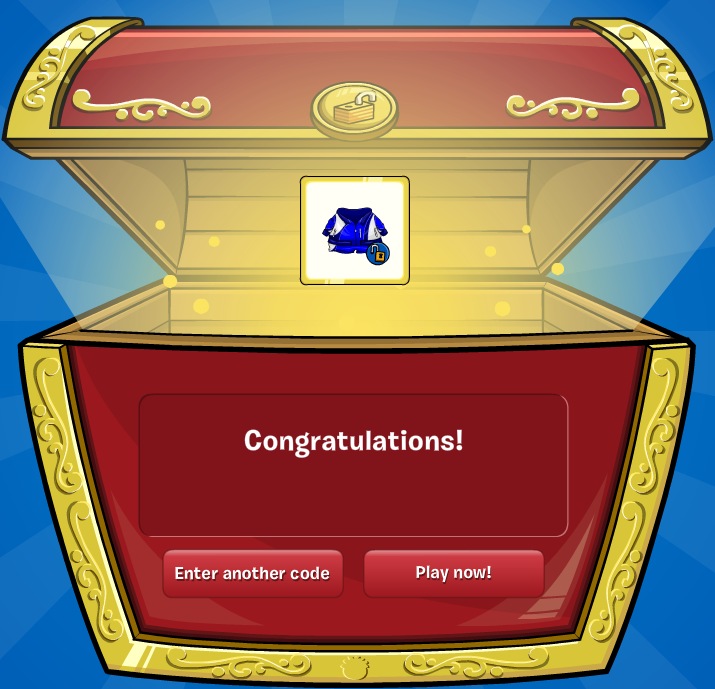 Check out the newly released Club Penguin code that unlocks a Blue Tracksuit! Pretty cool! Thanks to Pizzaboxz, Alexandru356 and Bellerophont for telling me about the code! Keep it up! You all rock! Wait, where do you type in this code? And is this only for members? I'm confused. But I got my day 3 item today. It's a blue long sleeved shirt and if you dance on the blue squares, you get a blue star pin! Yay I met Rocky,Cece,Cadence and added them and got their backgrounds! First they showed us some dance moves, Cadence was boombox dancing while the others were doing the regular dance. Then we heard Cadence sing a song called the party starts now. After that she sang it for real with a voice once she got out of backstage! Btw, sorry for long comment. mimo you can get the day three free item now. its a blue shirt and the prize is a blue star and the centre stage background.my penguin name is ShalomW12. i would like to be acknowledged for this cheat please. hey, i told you about the blue shirt before you posted so your supposed to give me credit for the cheat! still waiting to be acknowledged. Im back with some new coin codes for this month. Like My Club Penguin Igloo: July 31! What's New in August 2012! Like My Club Penguin Igloo! Non Member Club Penguin Igloo Experience! The Club Penguin Field Op Number 92 is here! Club Penguin Times #353 is here! New Igloo Experience Is Here! Club Penguin Pin Cheat - SPOTLIGHT PIN! New Club Penguin Igloo Experience! Club Penguin You Decide: Costume Item! CeCe & Rocky Ultimate Jam Ad! What Movie Should Club Penguin Make A Party Of? Club Penguin Members Only Daily Challenge: Day 4! Club Penguin Daily Challenge: Day 3! Club Penguin Daily Challenge: Day 2! Club Penguin: Make Your Mark Video! Bella Thorne and Zendaya Coleman Penguin Video! Gary Wants Us to Stop Protobot! Club Penguin Ultimate Jam 2012 Is Here! Club Penguin Countdown To Meet Cadence! The Club Penguin Field Op Number 90 Cheats! Club Penguin Time Issue #352! Club Penguin CeCe & Rocky Player Card! The Party Starts Now Available To Buy! Gary Has Sent Us A New Club Penguin Message! Club Penguin Times Issue #351! Club Penguin Dubstep Puffle On The Island! Reviewed By You: Summer Activities! New Home Page And Start-Up Screen! Club Penguin Time Issue #350! Squidzoid vs. Shadow Guy & Gamma Girl Returns! The Club Penguin Field Op Number 89 Cheats! Penguin Style Catalog for July 2012! Exclusive Items with Membership Cards!